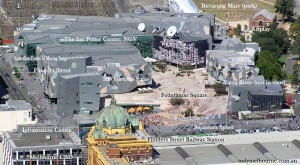 Federation Square is Melbourne’s cultural hub and its city square. 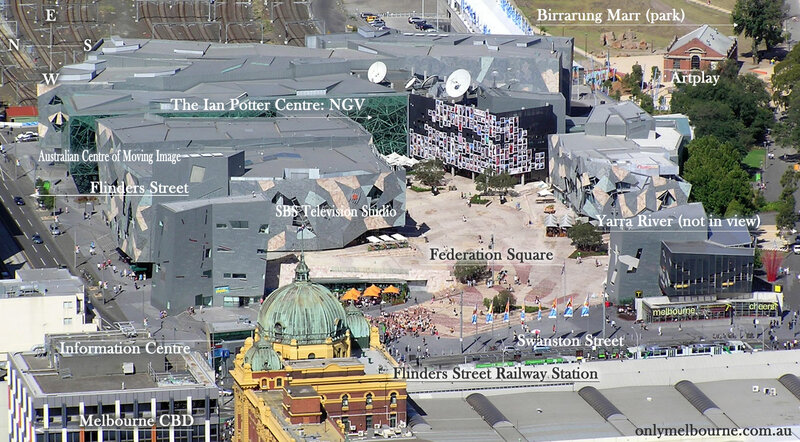 Located on the banks of the Yarra River and directly opposite its main railway station, Flinders Street Railway Station. 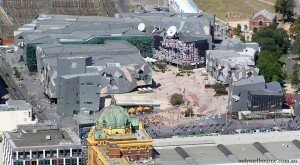 Federation Square is open 24 hours a day and does not require admission tickets. Federation Square is home to major cultural attractions, world-class events, tourism experiences and an exceptional array of restaurants, bars and gift shops, this modern piazza has been embraced as ‘Melbourne’s heart and soul’ – a local hang-out and one of Victoria’s most popular tourist destinations. The precinct is the size of an entire city block and is internationally recognised for its award-wining architectural design. Federation Square is Melbourne’s most prominent meeting place with a creative mix of attractions, museums, galleries, restaurants, cafes and bars. 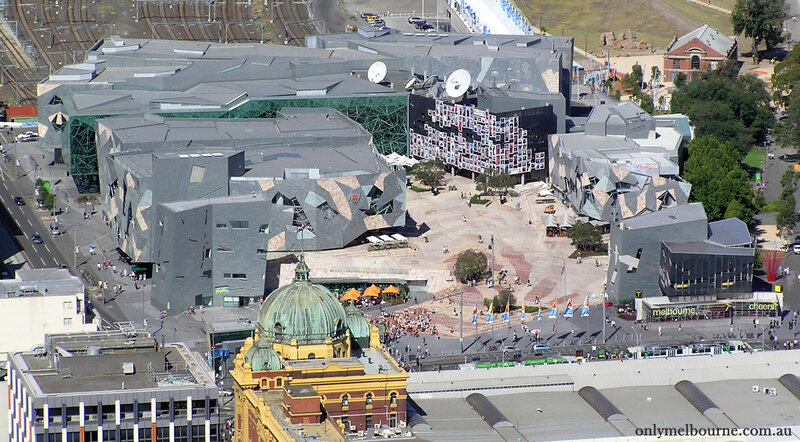 Host to more than 2,000 events each year, Federation Square is a hub for festivals, markets, fashion shows, public lectures, films and concerts.